Our Sweet Tasting 5 to 6 oz. Maine Lobster Tails are so easy to prepare, baked, stuffed, steamed, or on the Grill! 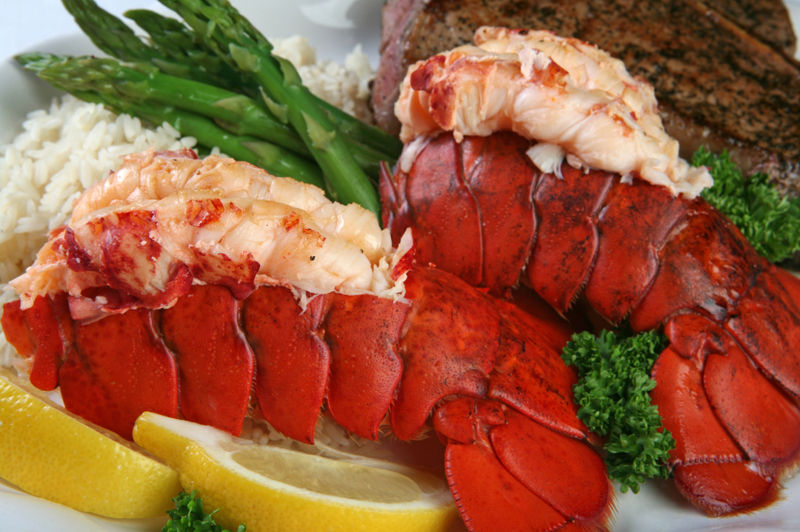 This Item Includes 4 Lobster Tails! LobsterGuy's Sweet Tastin' Lobster tails are great on their own, or as an add on item! 4 count 5 to 6 oz. Maine Lobster Tails Are An Outstanding Gift Choice And A Great Gift Idea! Holidays, Anniversaries, Birthdays, or just a Great Thank You! Order Maine Lobstertails By 10am EST, And Enjoy Them For Dinner Tomorrow! Lobster Tails Also Make A Great Gift Idea For Your Favorite Seafood Lover! How Easy Is That! Really Good Lobster tails, we will order again! I received my 8 medium size lobster tails on Dec. 23rd as requested. Cooked them the following night (Christmas Eve) & to say they were fresh, tender & sweet would be an understatement !!! Our family & guests loved them. Being from Boston & growing up eating lobster, I could tell when I opened the box & checked them out on the freshness & care of packaging/shipping you & the crew did in preparing my order. Also, I called & left a message with a question & your courtesy Customer Service returned my call. Great job & I will be ordering again. I ordered eight medium sized lobster tails (5-6 oz each) for Christmas Eve. I baked them in the oven & they turned out sweet & juicy, mainly because they were fresh & packaged/shipped properly !!! My guests loved them. I grew up just north of Boston on the water & I know what eating lobster is all about. "The LobsterGuy" & his crew did a great job. We have ordered from other lobster companies online before, claiming free shipping free this free that., but I must say this was the best company so far to deal with. The lobster tails were great, shipped on time, and the best prices even with the shipping fees. We will order again. The handwritten card was a nice bonus! We got these for a birthday dinner at our home. Everything was packed wonderful and tasted even better. We also enjoyed the chowder and the calamari, it was all excellent! We ordered from you on a recommendation, and it was spot on! The products and prices were the best we found, and you can tell that this company delivers for it's customers. The box came perfectly packed, and it was all wonderful.